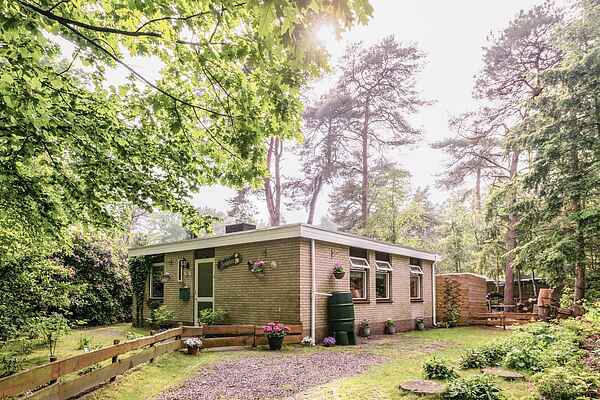 This holiday home Bunderbos is located on a bungalow park near Ommen in Overijssel. The bungalow is nicely furnished and is a good base for a lovely stay in Overijssel. The holiday home is nicely protected on the edge of the forest. On a warm summer's day you can cool off in the open air swimming pool on the park, but also the area offers many options for a nice day out. Visit the zoo at Emmen, pony park Slagharen or adventure park Hellendoorn. Nature lovers will never be bored here. Hiking and cycling excursions are plentiful. Walk through the Beerze nature area, a rolling heath terrain with sand drifts and dunes, or take a cycling excursion along the Vecht. Come to the Bunderbos and enjoy a wonderful stay in Overijssel.